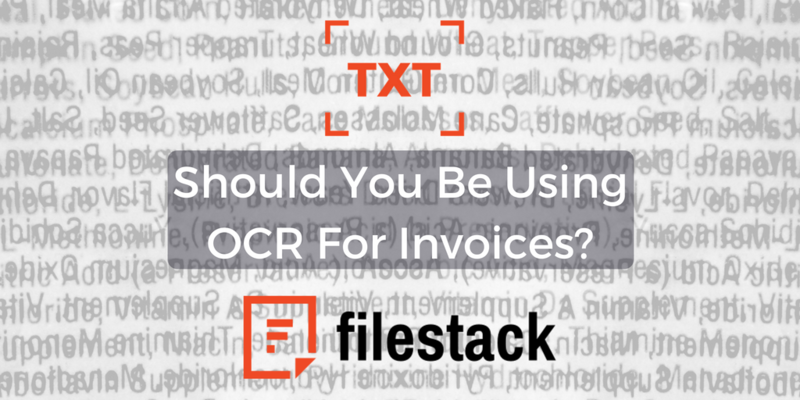 Should You Be Using OCR For Invoices? OCR for invoices becoming common practice seems inevitable, but the adoption is slow for OCR and machine learning in general. Fewer than 10 percent of all global invoices are electronic, despite efforts of companies and governments around the world to change the perception of e-invoices. Machine learning, specifically OCR, has made it easy and secure for companies to send e-invoices securely and for consumers to store and pay these invoices, all without generating any additional paper. First introduced in the mid-20th century, machine learning has a broad range of business applications, in virtually every industry. Bankers use it to help consumers upload and deposit checks via their smartphones. Online retailers use it to track consumer preferences, verify user identities and make recommendations based on data received. It’s even used to help blind people to read. Soon, we’ll see “self-driven” vehicles controlled by computers using machine learning. Banking: Banks and other lending institutions can send loan payment bills and account statements encrypted using OCR. They can also send documents to be e-signed and have the signature verified via an OCR application. Law, Accounting, and Medical: These businesses generate more invoices than most any other types of business. OCR allows firms and health care facilities to digitalize their invoicing and other documents and be able to store them in the cloud rather than in growing numbers of filing cabinets. OCR also allows some documents to be “signed” and the signature verified online rather than having to be signed in person. Medical practices can share patient files with other health care professionals without the patient having to hand-carry records. Retail: E-invoices are the mainstay of the e-commerce industry, all made possible by OCR technology. For bricks and mortar companies just making the transition to a paperless environment, OCR technology allows them to scan a paper invoice and securely sent it to a customer via email, then shred the paper invoice and store the e-version in the cloud. Insurance: OCR technology allows companies to send invoices via email. Electronic payments in this industry allow consumers to bypass the lag time between sending a check in the mail and having the insurance company receive it, thus reducing the number of policies that lapse due to late payment. Could your business use OCR for Invoices? The potential for and the number of OCR applications continues to grow as machine learning matures and increases. Most industries can benefit from machine learning, specifically OCR. From making invoices easier to send electronically, documents easier to organize, verify and share, to helping analyze your customers preferences, OCR can make a huge difference for your business. Filestack specializes in OCR for invoices. You can reach out to start a conversation or check out more use cases.